My name is Lourdes Mack, I am a teenage dancer, athlete, actress and musician. 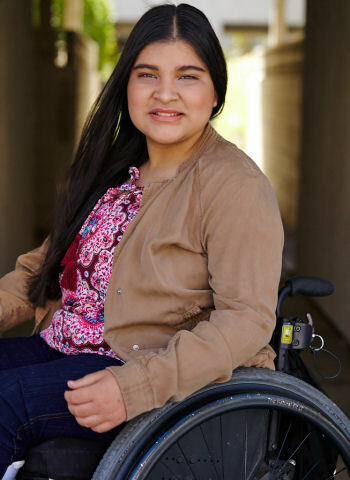 I was born with Spina Bifida and use a wheelchair, however, this has never stopped me from living life to the fullest. I live in Los Angeles, California with my Mom, Dad, sister Diana, and my dog Jack. Welcome to my website, this is my story.